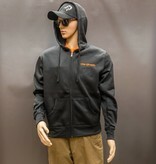 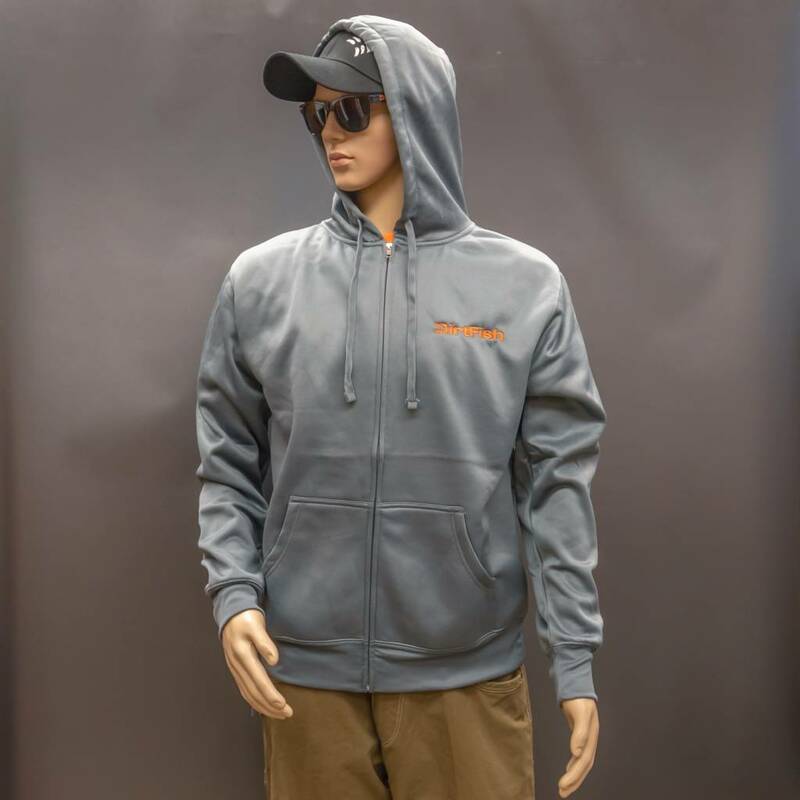 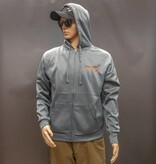 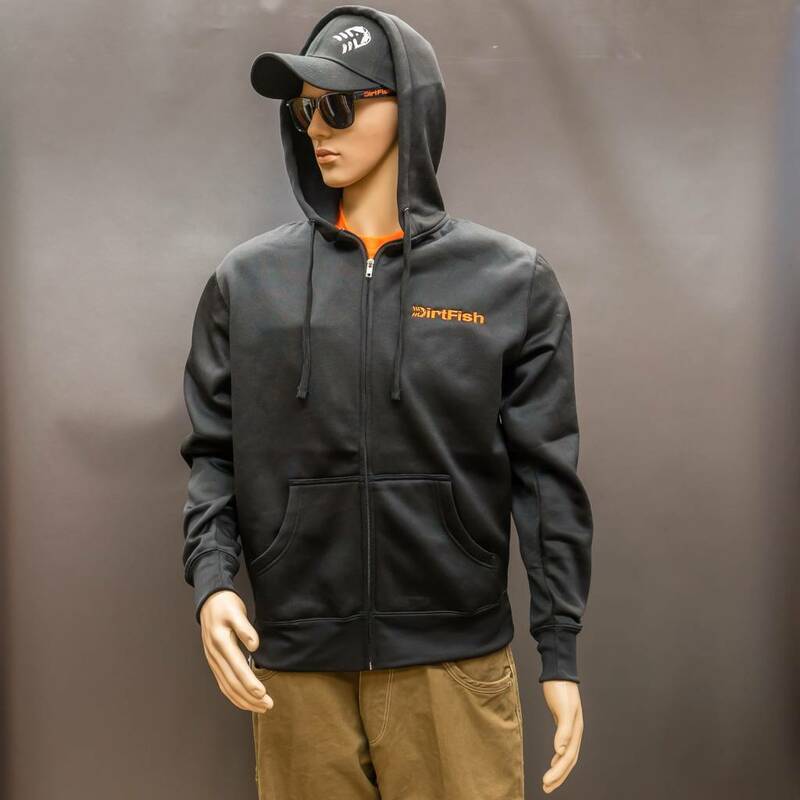 This full zip-up hoodie is made up of 80% polyester and 20% cotton. 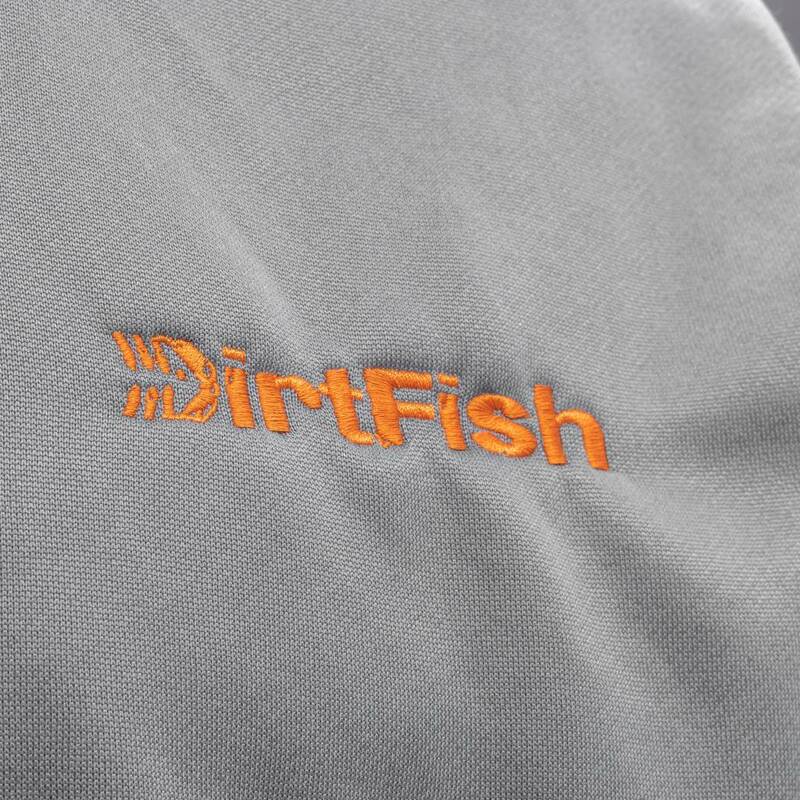 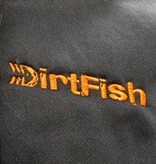 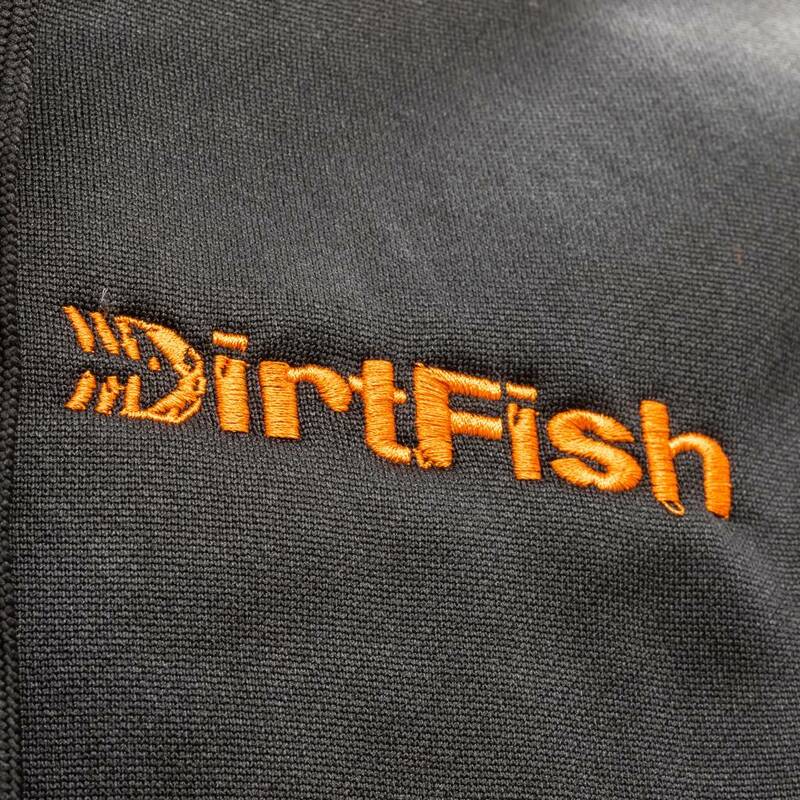 We have embroidered DirtFish on the front left chest and our signature fish on the back of the right shoulder. 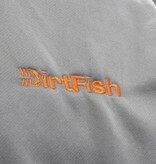 Offered in Black and Silver.